How would you like an always up-to-date playlist full of the songs that just started playing on the biggest radio stations in the World? Ok then, here you are. Presenting the Fresh Cuts Playlist free for all, directly from the RadioAnalyzer database. A little background before you start listening: To us the possibilities are close to endless when it comes to utilizing our huge database of on-air songs from radio stations around the World. Most often when we develop new functions and features they are focused on client needs and specific usage cases, but we sometimes try to share some rough diamonds with everyone. The Fresh Cuts Playlist on Spotify is one of those cases. An experiment that may become a regular feature if it gets a decent following. The method is simple. We have selected 20 of the most trendsetting US and European radio stations as our hunting ground. Whenever they start playing a new song regularly, it becomes a candidate for the list. And the only other filters are: needs to be available on Spotify and needs to be sung in English or Spanish. 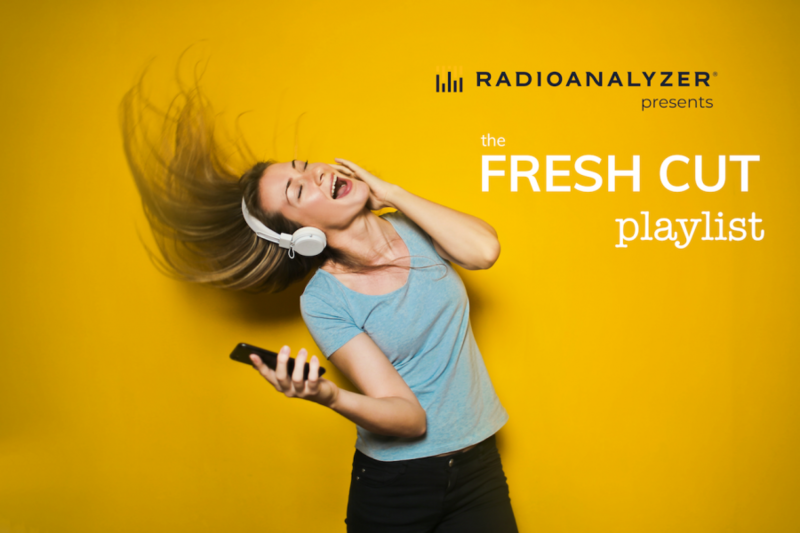 The Fresh Cuts Playlist gives you a large selection of all the brand new tracks that has started playing every day on at least one of the leading European and US radio stations this month. For a view on which of the new songs are spreading faster than the rest, we’ve created the and the Fresh Boomer Alert Playlist. This list features songs that at least two of the most trendsetting European and US radio stations have started playing. We add songs to the lists as they start playing and wipe the slate clean at the end of every month to start over with a new batch of “Fresh Cuts” and “Fresh Boomers”. Give the list a follow and tell us if it is useful or entertaining for you. Your feedback determines if it becomes “a thing” or just a short lived experiment.